Ice cream lovers do we have a treat for you, rich and creamy Lavender Ice Cream. This simple recipe is a perfect dessert for any occasion. Gently heat the milk, do not boil. Strain out the Lavender & stir in the salt & sugar while still hot. Stir in vanilla extract & cream. Chill immediately, minimum 2 hours. Churn or process as your ice cream maker directs, and then skip to step #9. Pour mixture into a stainless steel bowl and place in your freezer. Every 15 minutes, whisk or beat until icy or thickened. 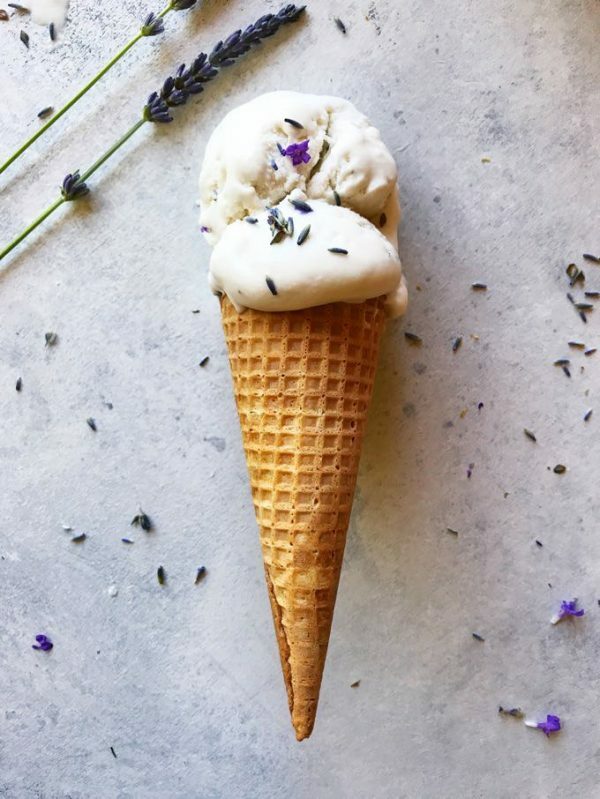 During the last few minutes or just before you remove from the ice cream maker: sprinkle in a few fresh blossoms of Lavender! Add in suggestions: Fresh peaches, raspberries, drizzle of honey, lemon zest, drop of peppermint extract, etc. Tip: Over steeping with dried Lavender makes the taste bitter & the color grey. If you like a stronger Lavender flavor, use 4-5 Tbsp. dried Lavender blossoms.